Even we couldn’t resist the urge to get outside in the garden. 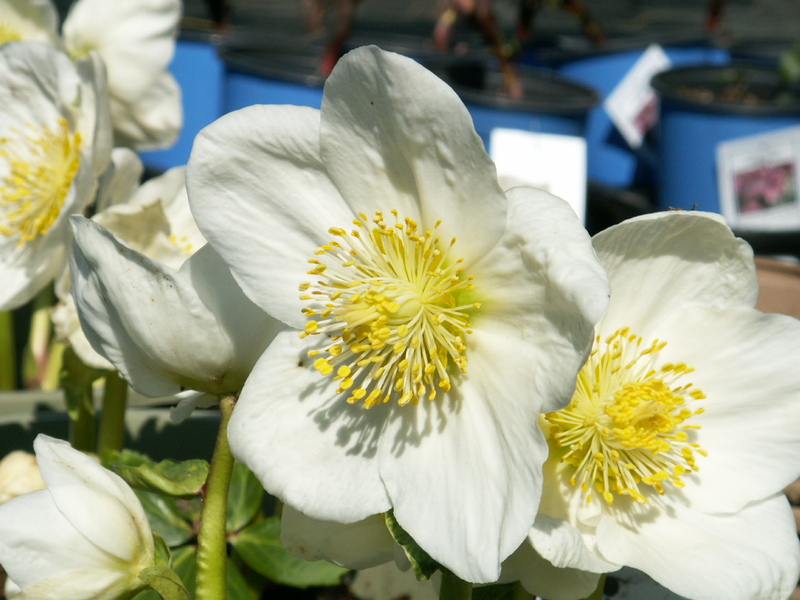 A couple of days ago Oliviah and I decided to get some sun and get the hellebores cleaned up for the upcoming shows. I’ve always cut the leaves off in the past so that you get a better show from the flowers. Recently, a good friend, Marion, informed me that leaf spot (or black spot) has become a problem in the UK and that I should cut them off to lessen the chances of the fungus getting into my plants. It was a beautiful, record-breaking day and we went to work on gathering up the plants and removing their leaves. As we worked down one row of plants in two gallon pots, we were both awestruck with one variety, Josef Lemper. There were only four pots left from last year, but they were absolutely gorgeous, with lots of large, clear white flowers facing out at us. The fact that they’d only been potted up into two gallon pots in October and had spent the winter above ground didn’t seem to faze them in the slightest. You can see in this second picture how they seem to have come through the winter better than the other varieties. Granted, it’s going to put on a better show initially than one that flowers a little later. However, the strength of the plant and the number of shoots was remarkable. I immediately called the grower I had got them from, only to find out that they didn’t have any for this year, but he’d see what he could do. Luckily I got an email this morning saying that there would be more of them and that they’d be ready late summer. 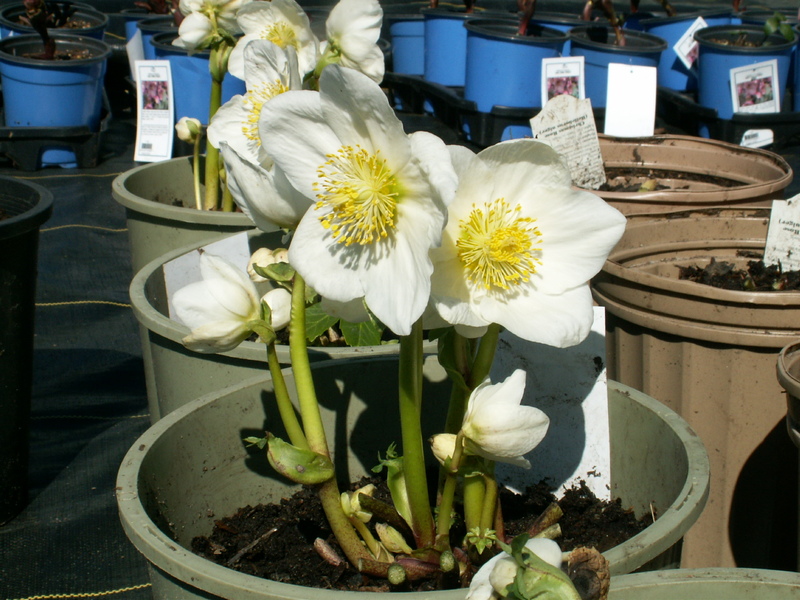 This entry was posted in Uncategorized and tagged hellebore, helleborus, josef, lemper. Bookmark the permalink.